Learn the basics of designing and printing on a 3D printer. This program is for teens and adults. This is a two-part class. 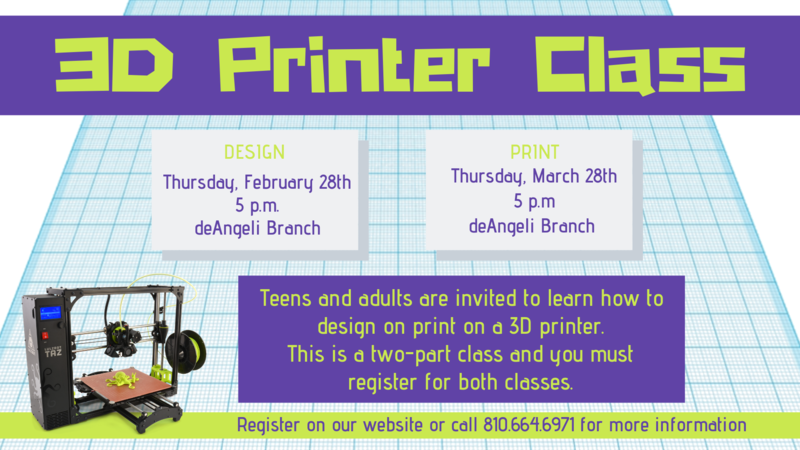 In the first class on February 28th, attendees will learn how to design on the 3D design website, Tinker Cad. During the second class on March 28th, the designs from the first class will be printed and participants will learn about 3D printing. You must register for both the February 28th and March 28th class. Anything not printed during the class will be printed afterward and can be picked up at a later date.